There have been some changes around here: a new look, new upcoming pattern collection, and a new shop! 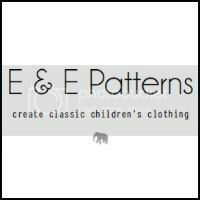 The E&E Patterns shop offers all the newest Elegance & Elephants patterns in one convenient place. There are also bundle discounts for those who'd like to purchase more than one pattern. The coupon codes are located in the 'Sale' section in the shop. You may notice that several patterns are missing. The Bubble Pocket Shorts, Ruffle Top, and Bubble Pocket Top & Swing Skirt patterns have been put into the 'vault' until they are updated. Watch for their releases in the future. The new fall collection release is just around the corner. If you'd like the opportunity to win the Hemlock Top, Ponderosa Dress, and Magnolia Skirt patterns, head over to the Facebook page to enter the contest. Winners will be announced on Monday, September 8. 6 comments on "E&E Patterns News"
Sort of a silly not related question. My daughter loves the Bohemian Babydoll and I find it a snap to make so she has had several to wear this summer! Do you think it would be possible to add a sleeve instead of the flutter cap sleeve? 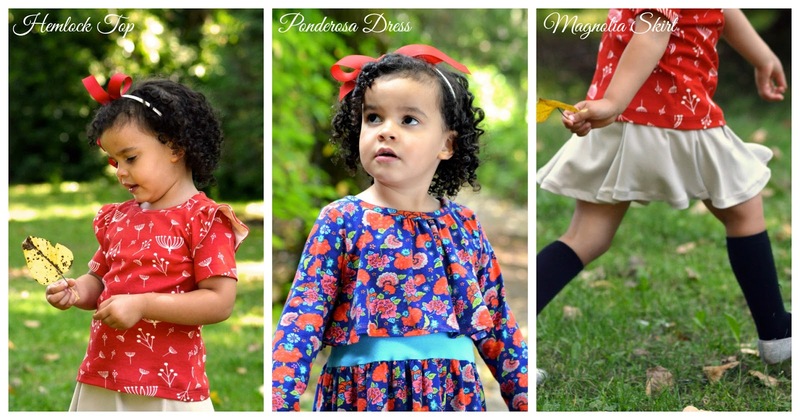 My girl has sensory issues so the pull on, no buttons and breezy style is great, but we live in New England and I would love to try one in a slightly heavier fabric and with a sleeve to pair with tights for cold fall days. Thoughts on a sleeve type that might work? Thanks!! Hi Liza, A sleeve is definitely possible. The thing to consider is making sure there is enough 'wiggle room' so she can comfortably get it on and off. Maybe try it in a knit since they're more forgiving because of the stretch (use one size smaller if you try knits). Hope that helps!! Thanks Heidi - I will give that a try and thank you!! you have a huge talent!! !